Soothing sound of the wheels, an interesting book or a good movie can make the trip by train simply stunning. In addition to the Russian areas, there are also international. Therefore, the trains, like planes, are popular among travelers. For those who can not travel by plane, train – the perfect way out. Access by train is possible even in China. From the Yaroslavl station on the route Moscow–Beijing sent four trains per week. You need to be prepared to spend almost 140 hours. China is a country with a rich culture, and the beaches are not inferior to the resorts of Bali or Thailand. Bulgaria – the perfect option for travel in Europe by train. Trains to Sofia from Moscow depart from Kyiv station. Be prepared to spend in the way a little more than two days. This country when it is considered the capital of the Soviet Union, so there is a good understand Russian language and are very friendly to our countrymen. In Bulgaria you can enjoy beautiful architecture, delicious food, and good resorts. For example, place "Golden Sands" offers excellent service, beautiful sandy beaches and clean sea. To go to Germany from Moscow the Belarusian station. From there travel daily two trains to Cologne. The train ride will take approximately 37 hours. By the way, through the station in Cologne you can get virtually any European city. For example, a very common route Moscow-Cologne-Paris. And for those who want to spend their vacation in Germany will perfectly suit a route Moscow-Berlin. The train also departs from the Kiev station, and the journey time is approximately 28 hours. For those who prefer a visa-free stay, perfect trip to Montenegro. After spending almost two days, you can be in this beautiful country. Departure is from the Kiev railway station. In the Mediterranean, the tourists will enjoy the beautiful national Park, clean beaches and clear water. In order to pass the time on the road, better to stock up on books and crossword puzzles. 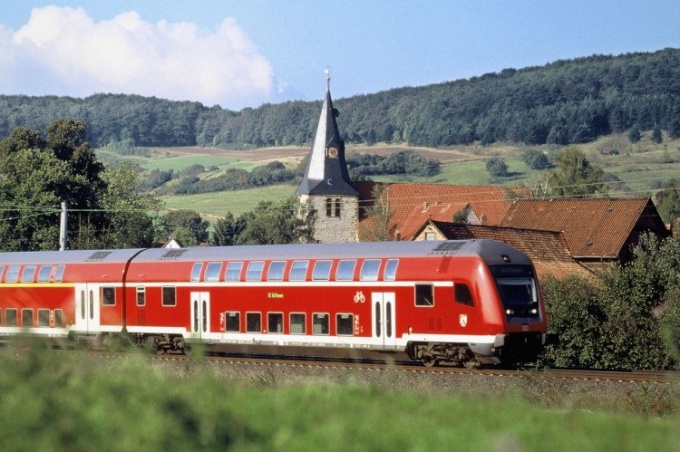 Planning a vacation during the holidays or weekends, book train tickets in advance.